MOSCOW, Jan. 30 (Xinhua) -- Russia is ready to act as a mediator in establishing dialogue between the Venezuelan government and the opposition, Russian Foreign Minister Sergei Lavrov said Wednesday. "We sincerely want to create conditions for establishing dialogue between the government and the opposition. We are talking about this with our Venezuelan partners, China, Latin American countries and Europeans," Lavrov said at a press conference. 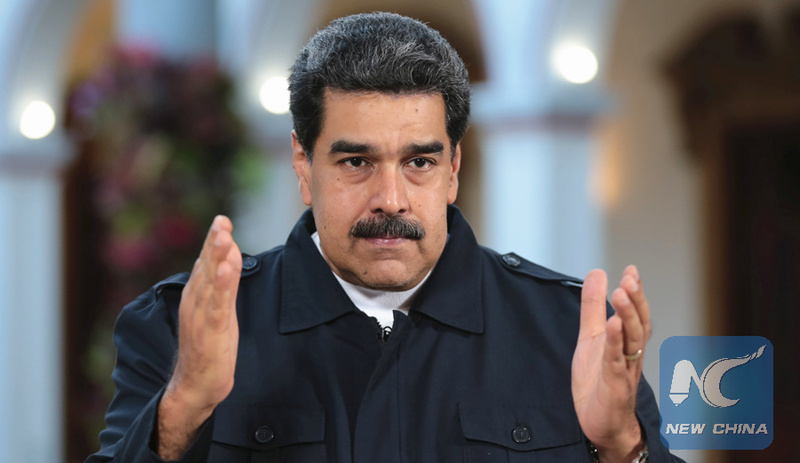 Venezuelan President Nicolas Maduro said in an interview with Russia's RIA Novosti news agency published earlier on Wednesday that he was ready to negotiate with the opposition with the help of international mediators. Moscow welcomes Maduro's readiness to accept such international efforts, Lavrov said. The Russian foreign minister said many countries and associations have come up with mediation initiatives, including the European Union, the Caribbean Community, Uruguay and Mexico. But, Lavrov said, Venezuelan opposition leaders oppose all these dialogue initiatives because their Western sponsors are publicly encouraging this destructive position. "We call on the opposition of Venezuela to take a constructive approach, abandon ultimatums and act independently," he said. Kremlin spokesman Dmitry Peskov in a daily briefing Wednesday called Maduro's openness to negotiations "commendable." Russia is ready to contribute in every way to resolving the domestic political situation in Venezuela without interfering in its internal affairs, Peskov said.